The 2018 Fly Fishers International Fair & FishFest at the Boise Centre features more than 100 workshops by fly-fishing specialists showing beginners and expert fishermen how to improve skills such as tying, casting and on-the-water fishing. BOISE — The Boise Centre will host thousands of anglers around the world for the 2018 Fly Fishers International Fair & FishFest this week. 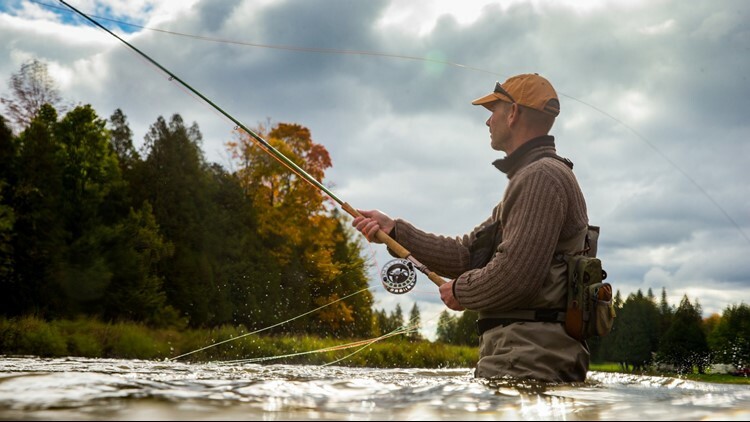 The event features more than 100 workshops by fly-fishing specialists showing beginners and expert fishermen how to improve skills such as tying, casting and on-the-water fishing. As one of the most popular destinations to fly fish, it's no surprise that Idaho is hosting this year's event. Although it may be the biggest venue, Jennifer Bird from Fly Fusion Magazine thinks it's also the best. "Boise was the clear best option to host this year's event for many reasons," Bird said. "Boise has one of the largest fly-fishing communities in North America." In comparison to years past, the Boise Centre is the biggest venue to host the event. For younger kids interested in fly fishing, youth camps are available to teach the basics of fly fishing and safety. Some of the presenters this year include: Dr. Gary Borger, Marc Crapo, Hank Patterson, Molly Semenik, Mary Ann Dozer and Brian O'Keefe. The event continues through Saturday, from 9 a.m. to 5 p.m. Day passes are $10 for adults and free for kids ages 11 and younger. For more information, visit Fly Fishers International online.